When I was a computer “n00b,” I was fascinated with the Microsoft Sound Recorder. It was so cool that I could actually record things like BMI and EMI Records! But as I delved into the field of audio, I slowly realized that Sound Recorder had a couple of limitations. I could go on and on about these restrictions such no multiple tracks or track displays. But basically, every fault could summed up in one complaint: Sound Recorder is too beginner. I needed something more robust. 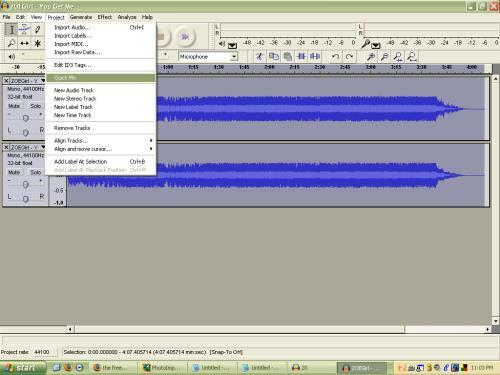 Microsoft Sound Recorder is much like Microsoft Paint as compared to Adobe Photoshop or Ulead PhotoImpact. 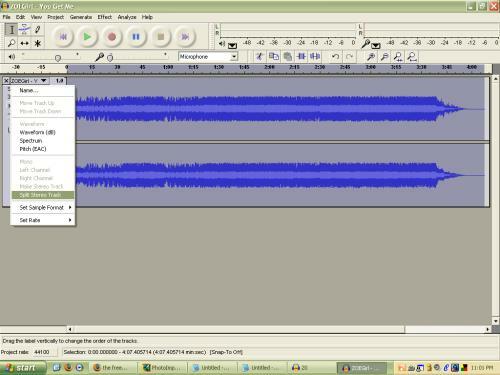 Audacity raises the bar of power and difficulty up a couple of notches. Since I’ve never really been exposed to professional applications for audio mastering, it is hard for me to gauge how advanced Audacity really is. But, it gets the job done pretty well for me. I’ve even made pretty good radio and TV parody commercial audio from this program. So, how to start with this program? Connect the audio source (CD Player, keyboard, guitar, microphone, phonograph, etc) and press record. 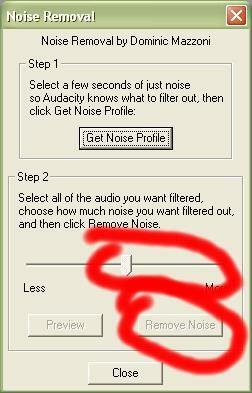 To me, the two coolest functions in Audacity is the noise and voice cancellation. If you subtract the right channel from the left channel, the vocals get completely canceled out, leaving only the other instruments. 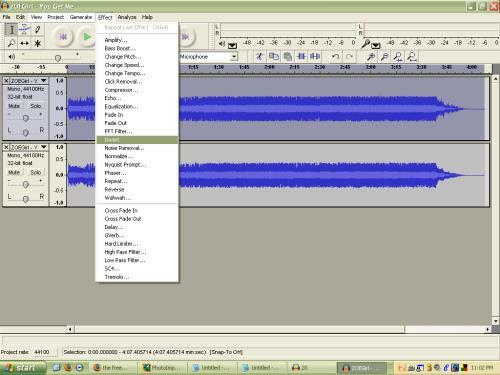 So, open the audio file and separate the left and right channels. Convert each channel to mono. Invert one of the now-mono channels. Test it out! This is exactly what karaoke machines do. Results will vary depending on how the CD was mastered in the first place at the record company. If you’re lucky, all the vocals will be completely cancelled. To me, this is an absolute must when recording anything that doesn’t come directly from a digital source … which is most things that utilize the microphone or line in port. This especially applies to recording from a microphone, phonograph, or tape player. For the microphones, the hiss or whir from noisemakers such as air conditions will be tangency in the recording. In addition, phonographs and cassette tape players produce a characteristic hiss because they also output the sound of the contacts sliding over the vinyl or magnetic tape surface. Open or record a track. Select a couple of milliseconds in the track where it is supposed to be silent but there is tangent noise. You can find this at the beginning or end of the track. Click Effect -> Noise Removal. Go back to Effect -> Noise Removal. Select degree of removal. Experiment with this. It takes about 30-60 seconds to clean a normal length tract. Listen to the audio result and either try again or save. 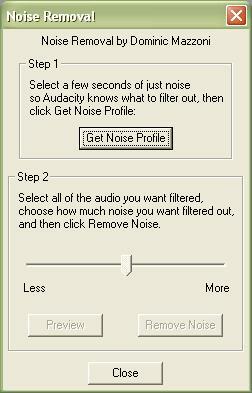 Check out the other features and available filters @ the Audacity website! This entry was posted on Saturday, January 28th, 2006 at 11:23 pm	and is filed under Audio and Video. You can follow any responses to this entry through the RSS 2.0 feed. You can leave a response, or trackback from your own site. 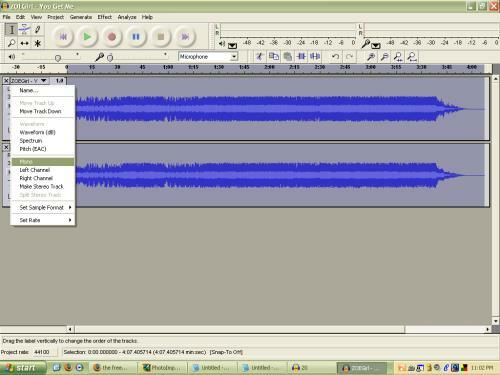 I tried doing this with mp3 file. The effects dropdown is completely disabled. Are there filetypes limit for this functionality? Thanks a lot. I test this version of voice cancel an it’s quite good. Mihai ! 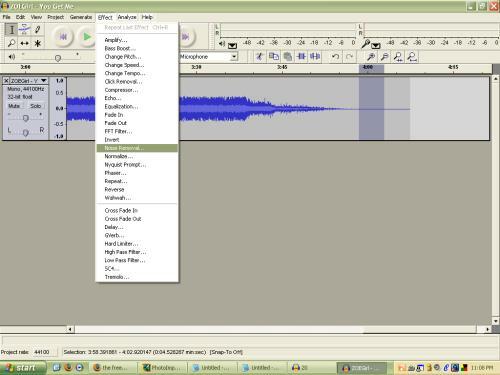 Just invert the result (mono) and do a quickmix to Left Channel for example. It depends on the recording technique. I remove some of Dean Martin original Hits with no problems because his voice is 50% to 50% on booth channels avail.